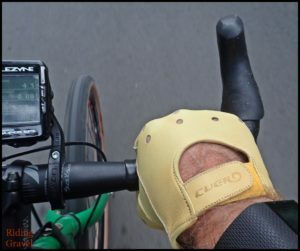 Cuero Leather Cycling Gloves: Quick Review- by Guitar Ted Cycling is an equipment intensive sport, no doubt about that. While one could ride with “just a bicycle” and no other special equipment, you quickly find out that the experience can be enhanced by adding certain accessories to the bicycle. Now, you can take this as far as you would like. There are certainly arguments to be made for minimalism and for having all sorts of gadgets and gee-gaws. There are arguments that can be made for where and how things are made as well. In this post, I am not going to address any of those far reaching subjects. What I am going to present is an article of kit that many cyclists wouldn’t do without- cycling gloves. These particular ones are made from cow hide and are from a company called Recovered Cycling out of Texas. The Recovered Cycling “Cuero” Gloves after a week or so of consistent use. Before I get into the Cuero Gloves I need to tell you a bit of backstory here regarding my use of cycling gloves. I have been a glove wearer but for the most part I could only wear full fingered gloves. For whatever reason, short fingered, traditional cycling gloves made my hands go numb in a hurry. I tried many different brands and sizes to no avail. Full fingered gloves always worked fine, but most of these were too hot for Summer riding, so I would usually not wear any gloves. That is a fine way to cycle, but for myself, my hands and arms sweat so much that eventually I would have compromised my grip due to slippery handlebars/grip areas soaked with sweat. It was not an ideal situation, but it was better than numb hands and fingers. So, when I was contacted about these Cuero Gloves I was prepared to have to hand them off to another rider to get a review on them. However; after a few short rides, I didn’t have to consider going that route. These gloves, being made from leather, conform to your anatomy quickly, and much like a leather cycling saddle, become “yours” and as a result, very comfortable. So, there is a basic review for you. These gloves are very comfortable. These gloves improved my grip on the bars and were very comfortable to ride in. 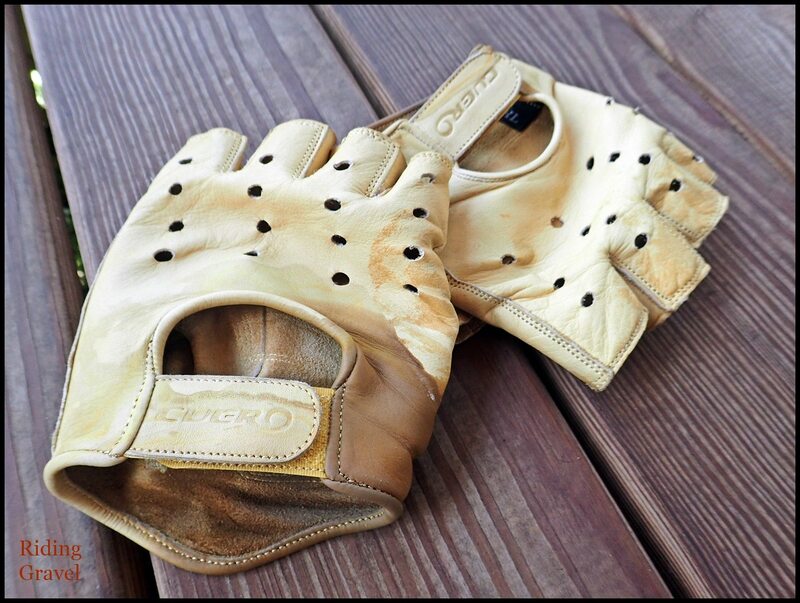 However; there is a bit more to tell you about these “deer tanned” gloves which only come in this natural, tan color. “Cuero”, which means leather in Spanish, (amongst other things), is the operative word here. The material these are made from give these gloves not only their form fitting qualities, but all their aesthetic and aromatic qualities as well. 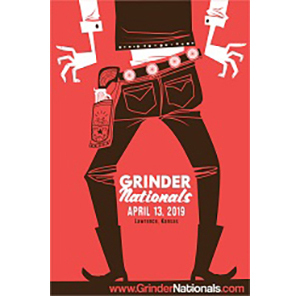 Yes, your sense of smell comes in to play with the Cuero Gloves. The smell of leather is apparent the minute you open the package they come in and this can affect how you feel about these gloves. You may not be in to using animal sourced materials, so that may be a turn off, but for many people the smell of leather is indicative of a quality made product. Fortunately the Cuero Gloves are made very well. The cut and design is obviously expertly sewn together. I did not see any faults such as loose stitching, loose ends of thread, or poorly cut panels. These gloves look and smell of a high quality product. Then you put them on…… While the first fitting may seem a bit constricting in places, once your riding starts, these gloves will very quickly form themselves to your hand. There is a break in period, just as with leather saddles, but fortunately it isn’t going to take as long as it does for a leather saddle for you to break in a Cuero Glove. I did it in one relatively short ride. From then on these gloves have taken on the shape of my hands nicely. They are so easy to put on now that my first fitting seems alien to me at this point. Taking them off is a bit tedious due mainly to the fact that they are short fingered gloves. I find nothing in my experiences with other short fingered gloves that would point to this as being anything but routine. Cuero Gloves are “skin” and as such they work like skin and should be treated as skin would be treated. Riding with these gloves is an enjoyable experience as well. Let’s just say that it “classes up” your look just a bit, first of all. But looks aside, these are very comfortable to ride in. There isn’t any padding to speak of, just a doubled up portion of leather in the palm area, mainly to ward off damage to your hands in case of a crash, and for better wear qualities. So, if you demand a padded glove, these likely are not for you. That said, I never got along with padded gloves and found that these gave me a good feel in the riding position. You will notice that your sweat will soak these gloves as you ride. While this may seem unsightly to some, I found that the transfer of my sweat through the gloves actually kept my hands cooler, not to mention that this enhanced the grip factor. 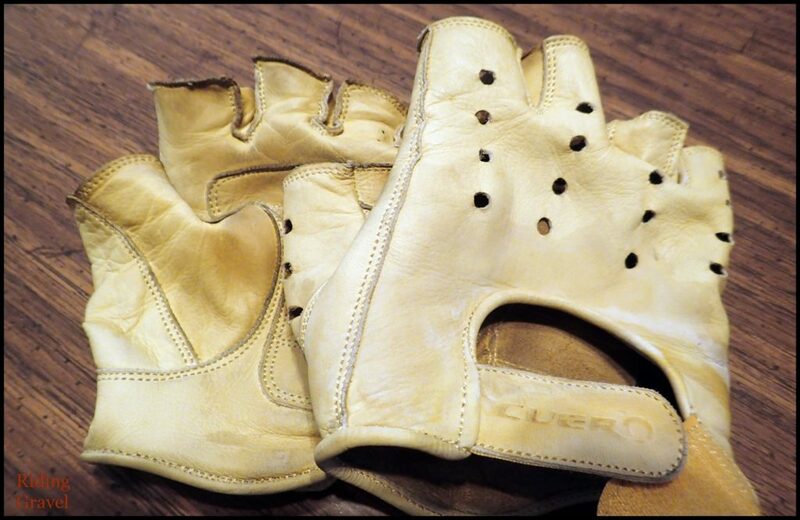 These qualities meant that the Cuero Gloves are not too hot to wear on humid, sunny days. The pores in the leather act like a wicking jersey might, transporting your perspiration to the leather and then it evaporates somewhat. Oh, and let’s not forget to mention the cool tan line possibilities. I was a bit concerned about the material, being leather and all, so I asked about this. The Recovered Cycling site does carry some leather cleaner and conditioner, which can be used to prolong the life of these gloves. However; I was assured that a quick rinsing in cool water after a hot, sweaty ride can clear out the perspiration. Using the leather cleaner and conditioner will only slightly darken the leather of the Cuero Gloves, I am told, but I did not get to test that out for myself. If you do choose to use those products, it can help to clear out the leather’s pores and gives the leather back some “essential oils” to aid in prolonging the lifespan of this product. The gloves are said to be quite durable, are able to handle a crash, and able to survive many miles with aplomb. Now, we need to discuss the price of these gloves, which at $100.00USD may seem a bit high to many of you. I know that some of my cycling friends and coworkers whistled when they heard the price and shook their heads. However; I find this to be a bit strange. 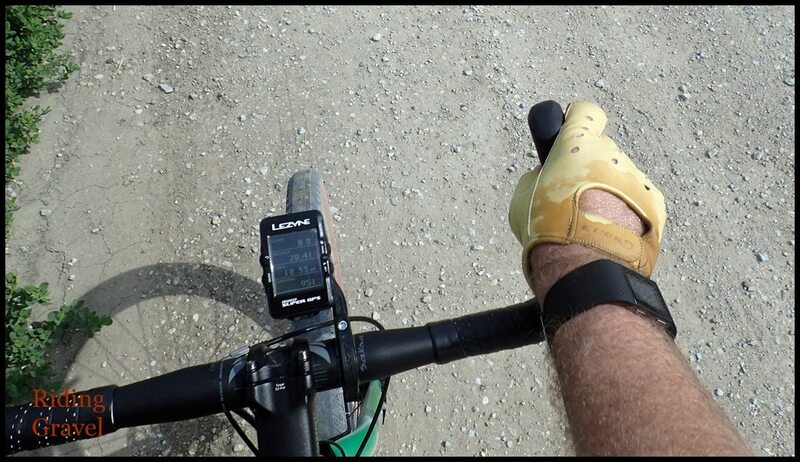 Look, when we are spending far over $100.00 on shoes, bibs, jerseys, helmets, and saddles, I find it weird that many cyclists will put up with $30.00 gloves. Of course, you can justify just about anything, but in terms of contact points, it would seem to me that spending a bit more for something of higher quality and that provides better comfort and protection is a wise decision. The price for the Cureo Gloves is not out of line with other high end gloves, and in many cases these are actually less expensive. In terms of “high end kit”, I think the price is justified here, especially based upon how these gloves have performed so far. At The Finish: If a leather cycling glove appeals to your sensibilities, the Cuero Glove should be high on your list for consideration. The material conforms to your anatomy, is very comfortable, and is long lasting and durable with a little maintenance. The look is classy and the traditions of cycling are celebrated in its classic, short fingered design. The riding experience is enhanced by the increase in grip and the leather provides some protection in case of a fall. The Cuero Glove is a fine addition to anyone’s cycling kit that will class up your look and function well to boot. 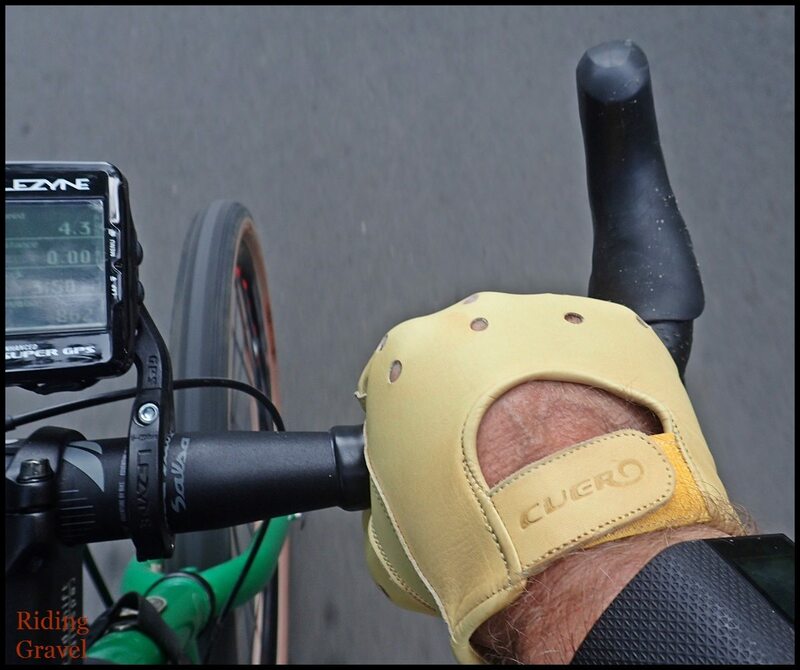 NOTE: Rec0vered Cycling sent over the Cuero Gloves at no charge for test/review. We were not bribed nor paid for this review and we will strive to give our honest thoughts and opinions throughout.